Published Album of photographs of the 1st Battalion, King's Own Royal Lancaster Regiment, Lucknow, India, 1910. 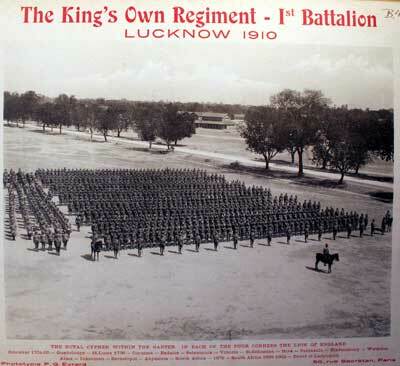 1st Battalion, the King's Own Regiment at Lucknow, 1910. 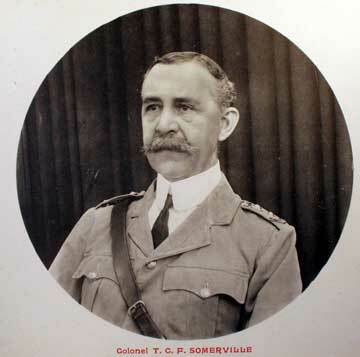 Colonel T C F Somerville, Commanding Officer, 1st Battalion, King's Own Royal Lancaster Regiment. 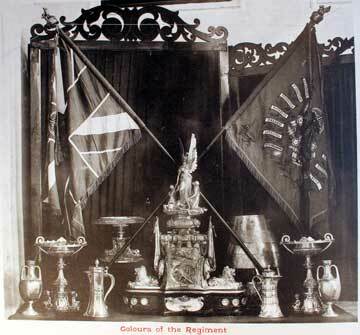 Colours and Regimental Silver of the 1st Battalion, 1910. The 1st Battalion on Parade, Lucknow, India, 1910. 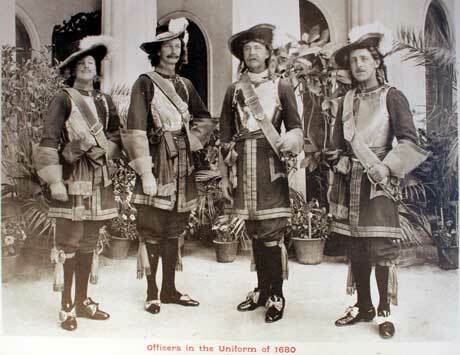 Officers in the Uniform of 1680. Officers of the 1st Battalion, King's Own Royal Lancaster Regiment, 1910. Back row, left to right: 2nd Lieutenant Cyril Rodney Carter, Lieutenant Valentine Otto Todd, 2nd Lieutenant Granville Alfred Blackburn, 2nd Lieutenant Cyril Steele Steele-Perkins and Lieutenant John Francis Greenwood. 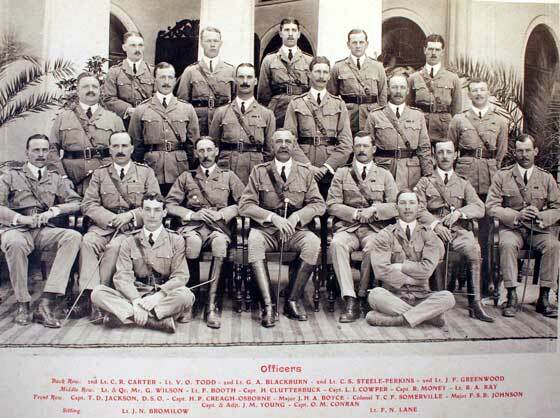 Front row, left to right: Captain Thomas Dacre Jackson, DSO, Captain Herbert Pearson Creagh-Osborne, Major John Henry Arthur Boyce, Colonel Thomas Cameron Fitzgerald Somerville, Major Francis Shand Byam Johnson, Captain and Adjutant James Maclaren Young and Captain Owen Mostyn Conran. 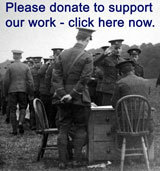 Seated: Lieutenant John Nisbet Bromilow and Lieutenant Frank Nowell Lane. 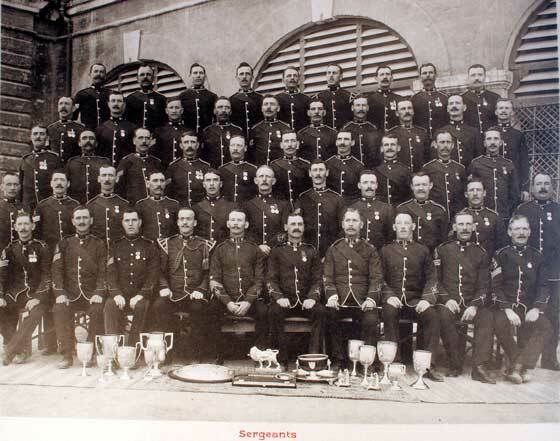 Warrant Officers and Sergeants of the 1st Battalion, King's Own Royal Lancaster Regiment, 1910. 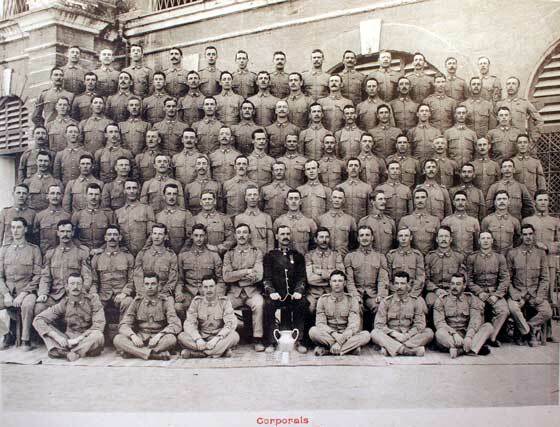 Corporals of the 1st Battalion, King's Own Royal Lancaster Regiment, 1910. 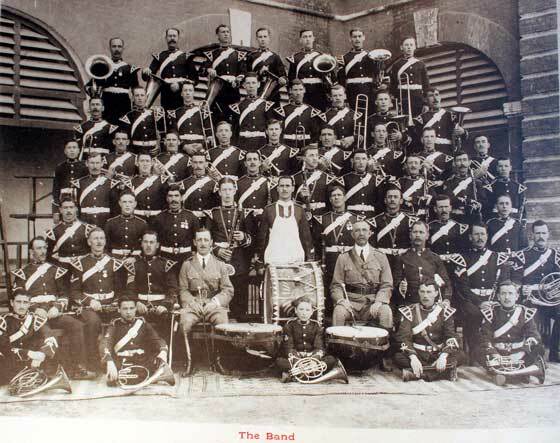 The Band of the 1st Battalion, King's Own Royal Lancaster Regiment, 1910. 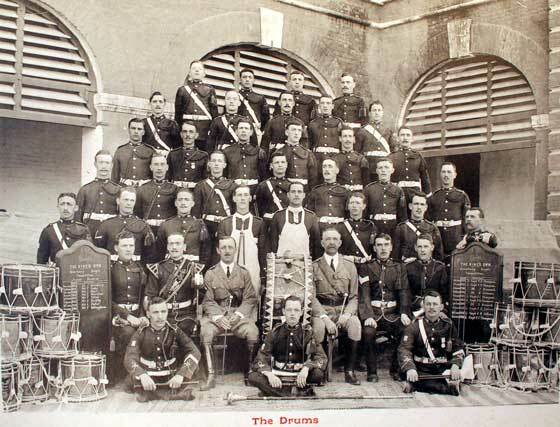 The Corps of Drums, 1st Battalion, King's Own Royal Lancaster Regiment, Lucknow, 1910. 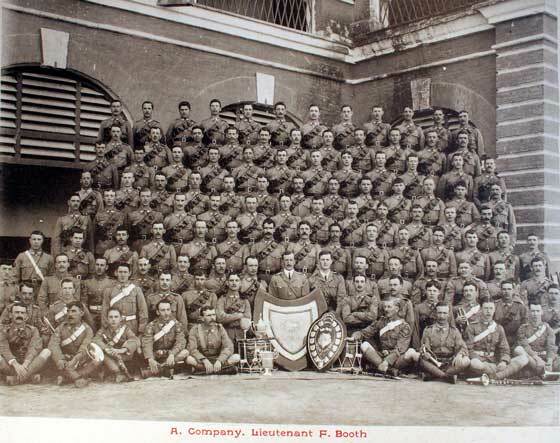 'A' Company, 1st Battalion, King's Own Royal Lancaster Regiment, commanded by Lieutenant F Booth. 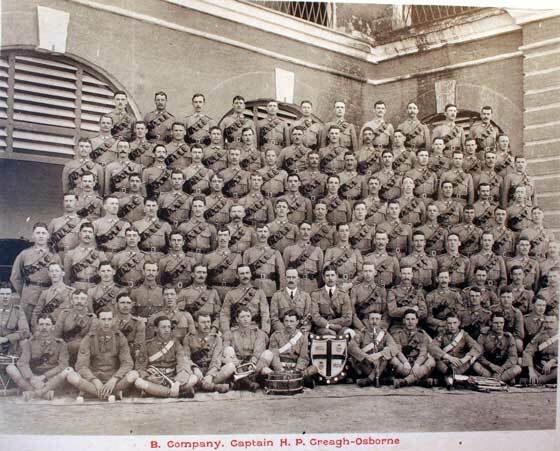 'B' Company, 1st Battalion, King's Own Royal Lancaster Regiment, commanded by Captain H P Creagh-Osborne. 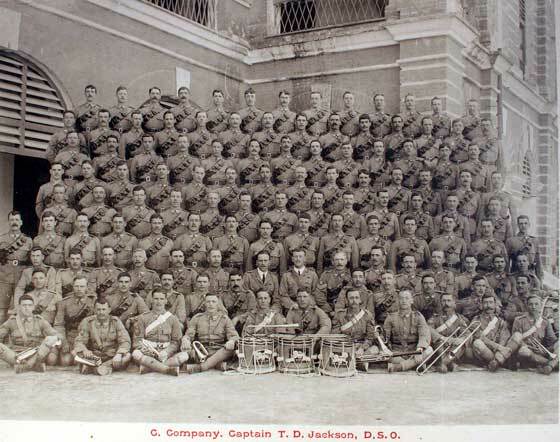 'C' Company, 1st Battalion, King's Own Royal Lancaster Regiment, commanded by Captain T D Jackson, DSO. 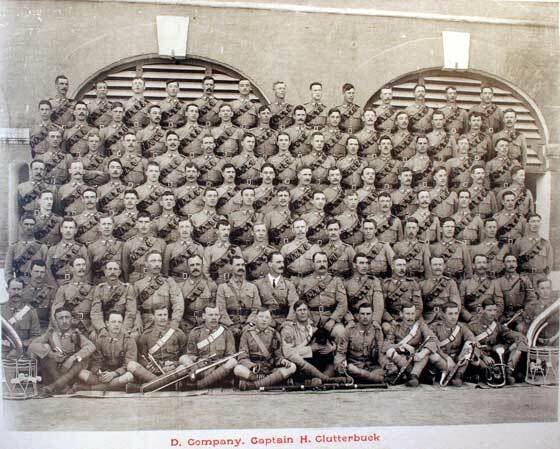 'D' Company, 1st Battalion, King's Own Royal Lancaster Regiment, commanded by Captain H Clutterbuck. 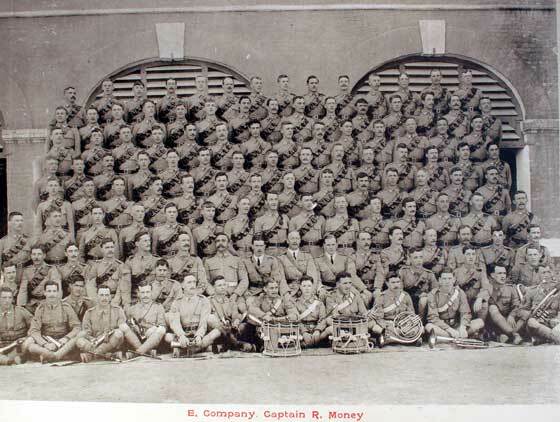 'E' Company, 1st Battalion, King's Own Royal Lancaster Regiment, commanded by Captain R Money. 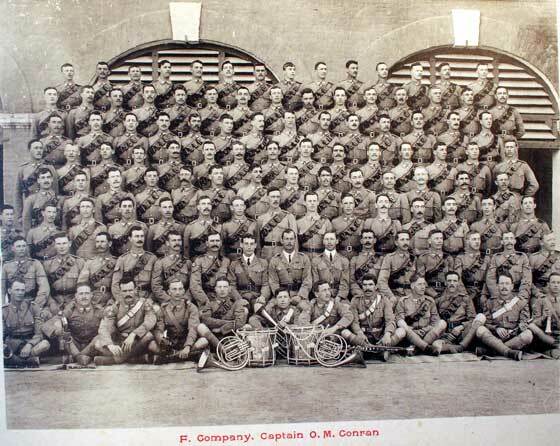 'F' Company, 1st Battalion, King's Own Royal Lancaster Regiment, commanded by Captain O M Conran. 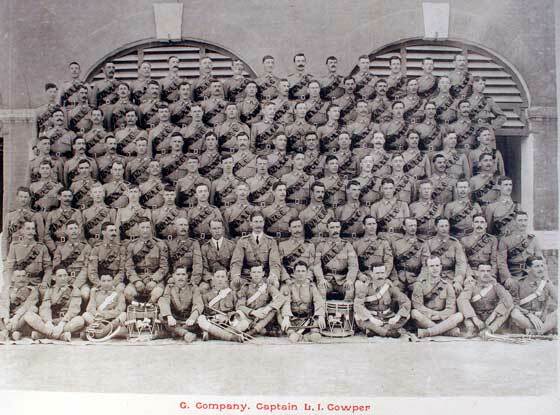 'G' Company, 1st Battalion, King's Own Royal Lancaster Regiment, commanded by Captain L I Cowper. 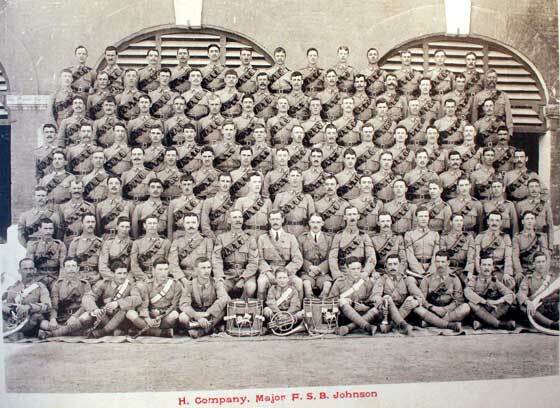 'H' Company, 1st Battalion, King's Own Royal Lancaster Regiment, commanded by Major F S B Johnson. 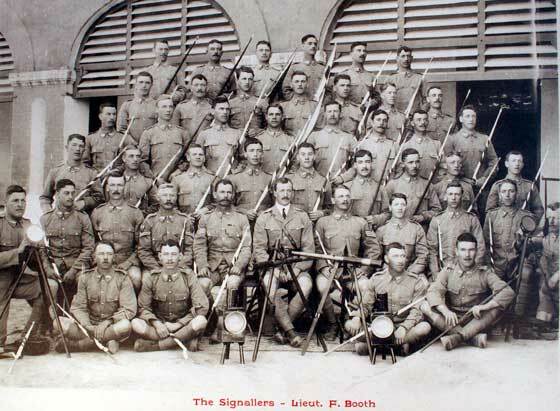 The Signallers, 1st Battalion, King's Own Royal Lancaster Regiment, commanded by Lieutenant F Booth. The Maxim Gun Section, 1st Battalion, King's Own Royal Lancaster Regiment, commanded by Lieutenant J N Bromilow. 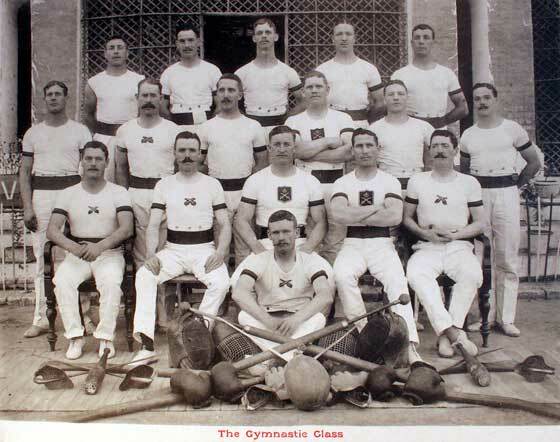 The Gymnastic Class, 1st Battalion, King's Own Royal Lancaster Regiment, Lucknow, 1910. 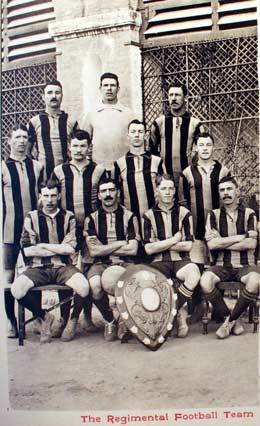 The Regimental Football Team, 1st Battalion, King's Own Royal Lancaster Regiment, Lucknow, 1910. 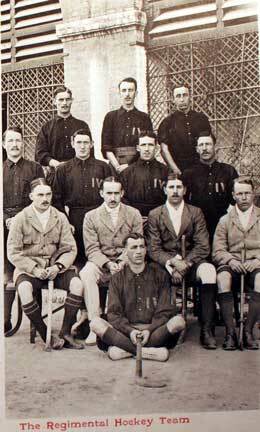 The Regimental Hockey Team, 1st Battalion, King's Own Royal Lancaster Regiment, Lucknow, 1910.